Oversecured Creditor Not Prevailing Party – What Law Governs Fees? In Bankruptcy, Are Both the Prevailing Party and the Oversecured Creditor Entitle to Attorneys’ Fees When the Oversecured Creditor Loses the Action on a Contract? In a case that should grab every commercial lenders’ attention, a bankruptcy court in the Central District of California in Altadena Lincoln Crossing LLC, 2018 Westlaw 3244502 (Bankr. C.D. Cal. 2018) disallowed an over $10 million default interest component to the bank’s proofs of claim, finding that the default interest was an unenforceable penalty under California’s liquidated damages statute, California Civil Code section 1671(b), which provides that “a provision in a contract liquidating the damages for the breach of the contract is valid unless the party seeking to invalidate the provision establishes that the provision was unreasonable under the circumstances existing at the time the contract was made.” The Court found that there was no evidence demonstrating that the parties negotiated or even discussed the issue of default interest before or at the time the contracts were made. As a result, the Court disallowed the entire $10 million default interest component as being categorically unenforceable under California law. 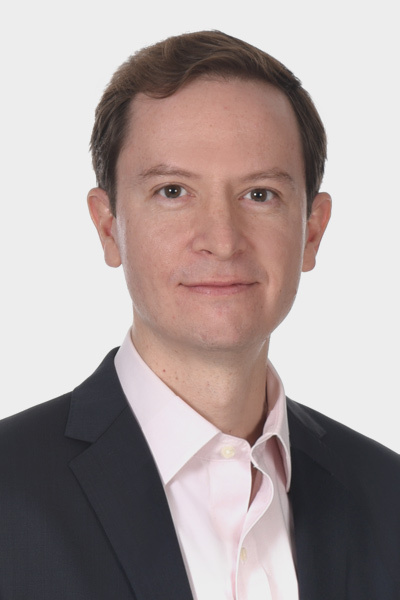 The gravity of the Altadena default interest analysis has been discussed by numerous commentators, including Loyola Law School’s Professor Dan Schechter. But, this article analyzes a different issue raised by the Altadena case: whether an oversecured creditor is entitled to attorneys’ fees and costs when it loses a claim objection and the debtor is declared the prevailing party on the contract under state law. In Altadena, the bankruptcy court appears to have disallowed the bank’s attorneys’ fees and costs related to its defense of the debtor’s claim objections, finding that the debtor was the prevailing party on the contract because it prevailed on its claim objections. But, the categorical disallowance of the bank’s attorneys’ fees based on a state law fee-shifting statute is not an obvious result, given that the bank was an oversecured creditor. As analyzed below, courts have taken different approaches to this situation. In Altadena, the debtor, Altadena (“Debtor”), filed claim objections to two proofs of claim filed by East West Bank (“Bank”), an oversecured creditor. The Bank’s first claim included a default interest component of over $10 million and the second claim included a default interest component of over $175,000. The court found that there was no evidence that the parties’ agreed-upon 5% default interest provision was the product of the parties’ pre-contractual efforts to estimate a fair average compensation for the foreseeable loss that the Bank might suffer in the event of default. As a result, the court disallowed these default interest components, finding them to be unenforceable penalties under California Civil Code section 1671(b). The court also found that the Debtor was the “prevailing party” on the claim objections, finding that because the Debtor was the “prevailing party” on the claim objections, the Bank should exclude its fees and costs incurred in connection with the claim objection litigation. Altadena, 2018 WL 3244502 at *12 (“[The Bank] shall file and serve one or more declarations setting forth its calculation of the attorneys’ fees and costs that it is entitled to recover as part of its secured claims, which declarations shall include as attachments copies of time records reflecting the relevant services. As the Debtor is the prevailing party with regard to the Objections, these calculations should not include fees or costs incurred in connection with litigation of the Objections. . . .”). Altadena is interesting because under state law, the bank would not be entitled to attorneys’ fees since it was not the “prevailing party on the contract,” but under bankruptcy law, it was entitled to recover its “reasonable” attorneys’ fees as an oversecured creditor under section 506(b) of the Bankruptcy Code. Although not expressly analyzed in the opinion, the court’s “prevailing party” reference may have been a reference to California Civil Code section 1717(a), which provides a reciprocal right to attorneys’ fees to the “prevailing party on the contract.” But, generally, oversecured creditors are entitled to “reasonable fees, costs, or charges” under section 506(b) of the Bankruptcy Code. Other courts confronted with this situation have found that the oversecured creditor is entitled to attorneys’ fees and costs, subject to a federal reasonableness analysis, which is not limited by state law “prevailing party” or fee-shifting analysis. See In re Hoopai, 581 F.3d 1090 (9th Cir. 2009) (analyzing pre-2005 BAPCPA version of section 506(b) and finding that an oversecured creditor was entitled to post-petition / pre-confirmation attorneys’ fees which could not be limited by state law despite the fact that the debtor was the prevailing party under Hawaii fee-shifting statute); In re McGaw Property Management, Inc., 133 B.R. 227 (Bankr. C.D. Cal. 1991) (awarding oversecured creditor attorneys’ fees under section 506(b), but also awarding debtor attorneys’ fees under California Civil Code section 1717(a) as the debtor was the prevailing on the contract, i.e., the claim objection at issue). A federal “reasonableness analysis” looks very different than the all-or-nothing “prevailing party” analysis under state law. See In re Le Marquis Associates, 81 B.R. 576, 578 (9th Cir. BAP 1987) (“Reasonableness embodies a range of human conduct. The key determinant is whether the creditor incurred expenses and fees that fall within the scope of the fees provision in the agreement, and took the kinds of actions that similarly situated creditors might reasonably conclude should be taken, or whether such actions and fees were so clearly outside the range as to be deemed unreasonable. The bankruptcy court should inquire whether, considering all relevant factors including duplication, the creditor reasonably believed that the services employed were necessary to protect his interests in the debtor’s property.”) (citations omitted). It is not clear whether these issues were raised at the bankruptcy court level in the Altadena case, and from the decision itself, it appears that this argument was not raised. But, unless all of the Bank’s attorneys’ fees incurred in defense of the Debtors’ claim objections were beyond the pale, the Bank’s section 506(b) entitlement means the Bank may have been entitled to recovery of at least some of its fees insofar as those fees were determined to be reasonable under federal law. Commercial lenders concerned about the enforceability of default interest and attorneys’ fees and costs should contact attorneys at Frandzel Robins Bloom & Csato, L.C. to discuss these complex issues, which are important at the formation the lending relationship through bankruptcy and beyond. Associate at Frandzel Robins Bloom & Csato, L.C. Discharged debts detrimentally drain the national economy. A bankruptcy discharge allows the debtor to be relieved from paying off his or her debts. Discharges are granted to the vast majority of debtors who file bankruptcy. 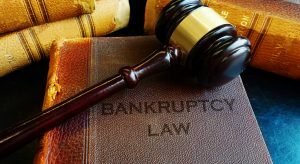 The purpose of Chapter 7 bankruptcy is to give a “fresh start” to debtors who have fallen on hard times. Bankruptcy doctrine provides that an “honest but unfortunate debtor” may obtain a discharge by filing bankruptcy. But, not surprisingly, some debtors are less-than-honest. What happens when a debtor is less-than-honest with his creditors in obtaining money, services, or other extensions of credit? In these cases, the Bankruptcy Code provides certain exceptions to the discharge. Those exceptions are contained in section 523 of the Bankruptcy Code. One type of debt which a creditor may seek to except from discharge is a debt for “money, property, services or an extension, renewal, or refinancing of credit, to the extent obtained by false pretenses, a false representation, or actual fraud, other than a statement respecting the debtor’s or an insider’s financial condition.” 11 U.S.C. § 523(a)(2)(A) (emphasis added). Note that a debtor may not discharge a debt arising from a written statement respecting the debtor’s financial condition (the typical example being a false financial statement). 11 U.S.C. § 523(a)(2)(B). These two Code sections are mutually exclusive. In other words, if the claim of false pretenses, false representations or actual fraud arises from a “statement respecting the debtor’s financial condition,” then the debt is discharged, unless the statement is in writing. But, what does the phrase “a statement respecting the debtor’s financial condition” mean? On June 4, 2018, the United States Supreme Court unanimously held, in the case of Lamar, Archer & Cofrin, LLP v. Appling, that a statement about a single asset can be a “statement respecting the debtor’s financial condition” within the ambit of Section 523(a)(2)(A) and (a)(2)(B), and that if that statement is not in writing, then the debt associated with that statement is not rendered non-dischargeable, even if the statement was a misrepresentation. The case involves a debtor (Appling) who allegedly promised to pay his lawyers’ (the Atlanta-based firm of Lamar, Archer & Corfin, LLP) legal bill with an anticipated tax refund of approximately $100,000. But, when Appling received his tax refund, it was only about $60,000, and he promptly spent it on his own business expenses and did not pay the Lamar firm anything. In fact, the debtor later met with the firm and told them that he had not yet received the refund. The firm contends that, based on this statement, they agreed to continue to represent the debtor and complete pending litigation involving the debtor. The final invoice to the debtor was about $55,000. After not receiving payment, the firm sued Appling for this debt and obtained an approximate $100,000 judgment. Shortly thereafter, Appling filed Chapter 7 bankruptcy in the Middle District of Georgia. 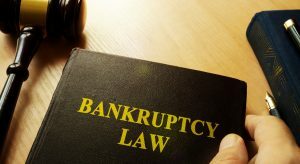 The firm continued to pursue the debtor in bankruptcy, filing an adversary complaint against the debtor in the bankruptcy case, alleging that their debt should be excepted from the debtor’s discharge. The firm alleged that the debtor made fraudulent statements to them, which were non-dischargeable under section 523(a)(2)(A). One of the debtor’s defenses was that the debt should be discharged because the debtor’s statement to the firm (that he would remit his tax refund to them, which the debtor never did) was an oral “statement concerning the debtor’s financial condition” under section 523(a)(2)(A). If the debtor’s argument were correct, then the debt could not be rendered non-dischargeable under section 523(a)(2)(A). [I]f the phrase has a broad meaning, more false oral statements will have the effect of exempting a debt incurred as the result of a misrepresentation, from the exception to discharge (meaning that such debts will be discharged), than if we construe the phrase narrowly. But fewer false written statements will result in excusing a debt for a fraudulently obtained asset, service, or loan. And since it seems likely that, at least in arm’s length transactions, most significant debts are obtained as the result of written representations about finances, as opposed to oral ones, a broader interpretation of the phrase is less likely to benefit dishonest debtors than a narrow construction of it. The opinion and its central holding was unanimous, but three justices declined to join the final portion of the opinion which discussed practices related to providers of consumer finance. Does Code of Civil Procedure section 580d permit a creditor that holds both a senior lien and a junior lien on the same parcel of real property arising from separate loans to seek a money judgment on the junior lien after the creditor foreclosed on the senior lien and purchased the property at a nonjudicial foreclosure sale? For decades now, California courts have answered this question in the negative, citing the equitable rule created in the case of Simon v. Superior Court (1992) 4 Cal.App.4th 63 (“Simon“). The Simon rule provided creditors with a bright-line prohibition: if the lender holds separate notes secured by senior and junior deeds of trust, then the lender is barred from collecting anything on the “sold-out” junior debt after it nonjudicially forecloses on its senior deed of trust. By contrast, where the senior and junior lenders are different entities, the “sold-out junior” whose lien is extinguished by the unrelated senior’s foreclosure may freely sue the borrower on its (now unsecured) loan, obtain a money judgment, and collect its debt by execution on the borrower’s other assets. The Simon rule is based upon a perceived need to prevent lenders from opting-out of California’s antideficiency scheme, and in particular Code of Civil Procedure section 580d, which prevents a lender from collecting a deficiency after nonjudicial foreclosure of the deed of trust securing the debt. The Simon court reasoned that the purpose (if not the text) of section 580d would be subverted if a lender could simply structure one loan into two loans secured by separate trust deeds. Notably, the Simon rule is quite broad, applying to situations regardless of the lender’s actual motives in structuring the original loan. In other words, under Simon‘s rule, the lender’s intent (to evade antideficiency legislation or not) is simply not relevant and, under Simon, even a lender with demonstrably legitimate reasons for structuring a loan with two separate notes and two trust deeds would be barred from collecting its sold-out junior debt. This is concerning, since so-called “piggyback” refinancing transactions, where junior and senior liens are created at the same time, are rather common. In June of 2017, the California Court of Appeal published Black Sky, a case which rejected Simon‘s holding and found that nothing in section 580d prevents any sold-out junior from collecting its debt. In Black Sky, a bank loaned about $10 million to two individual borrowers secured by a deed of trust on a parcel of commercial real property. Two years later, the same bank loaned another $1.5 million to the same borrower, secured by a second deed of trust on the same property. The bank later assigned both the notes and deeds of trust to Black Sky. The borrowers defaulted, and Black Sky nonjudicially foreclosed on the senior lien and acquired the property for a $7.5 million credit bid. Black Sky then sued the borrowers for on the sold-out junior debt. The trial court granted summary judgment in favor of the borrowers—citing Simon‘s rule: that section 580d prevents a lender from collecting its sold-out junior debt after the same lender forecloses on its senior deed of trust. 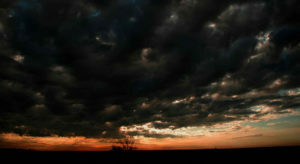 Black Sky appealed. Assuming the California Supreme Court addresses the Simon vs. Black Sky interpretations of section 580d head-on, lenders will finally be provided with certainty on what has, to date, been a murky landscape for lenders trying to protect themselves in strategically structuring financing transactions. We will be monitoring the progress of the Black Sky appeal as it progresses in the California Supreme Court, and will provide an immediate update once a substantive decision is rendered.